Sorry I’ve been a lil’ M.I.A lately. Life has been a crazy train the past few weeks. I’ve been busy with Bachelorette party planning, travelling to Vancouver for a second Bachelorette party, making plans for my friend Brittany’s wedding this weekend, Derek has his Iron Man the weekend after the wedding, I’ve been approved for weekly over time at work for cross training purposes with the Cybercrime Center, I’m also planning on going to the Washington State Open Bodybuilding Fitness Expo in Puyallup, and I’m tracking down my Financial Aid for school this Fall and the list continues. Man, I need a vacation! 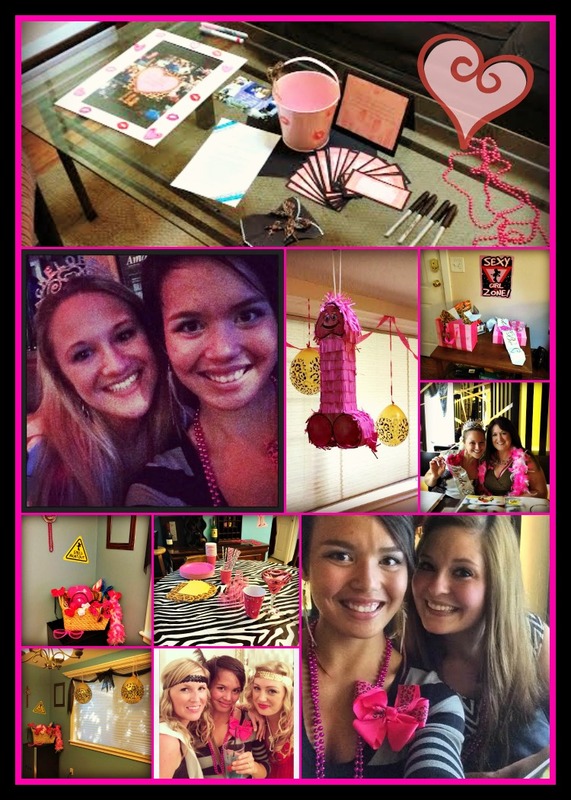 Brittany’s Bachelorette Party last weekend at Danielle’s house and in Seattle at Wasabi Bistro. Danielle’s Bachelorette Party in Vancouver this weekend with 12 gals! 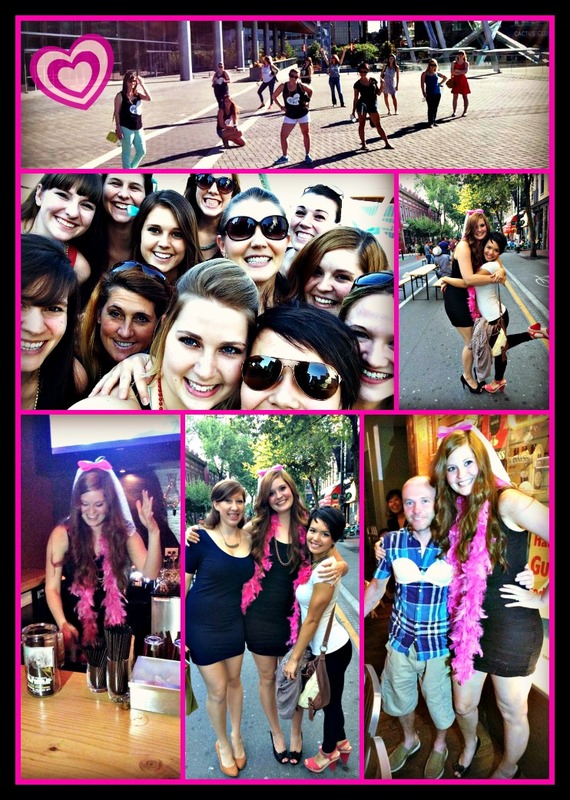 This weekend was Danielle’s Bachelorette party in Vancouver, 12 girls total and NO CELL PHONE SERVICE! It was definitely tough staying together as one group without getting lost since most of our phones were turned off. After we found the second hotel on Saturday, everything was easy going. You’d be surprised how helpless you feel without service or GPS! It was so much fun meeting all of Danielle’s family and gal pals, they were a great crowd. Saturday we went to lunch at a Chinese restaurant in Downtown and bought vodka on the way back to the hotel to PREEE FUUUUUUNK! To be honest, I think I was at my drunkest while we were pre-funking at the hotel. We walked down to the water front and took epic photos, and had our photos taken by complete strangers and tourists. Kind of awkward but super cute anyhow 🙂 Afterwards we started getting ready to leave for dinner and clubbing. I must say, it was a fun evening! Even though I’m 99% sure our drinks were watered down, it was still fun giving Danielle ‘dare’s’ to complete throughout the evening. As you can see, one of the dare’s was to have a stranger wear her bra! She didn’t even have to be drunk for that one! She also had a male stranger buy her a drink, she danced on top of the bar, and was invited to go behind the bar to mix her own drink. It was a great weekend! Well, I better work on my ‘To Do’ list, hope everyone has a fabulous week! This entry was tagged bachelorette, bachelorette party, cardio, core, diet, exercise, femme, financial aid, fit, fit life, fitness, fitspo, fitsporation, food, foodie, glutes, goals, gym, health, healthy, IIFYM, inspiration, lean, motivation, muscles, run, running, school, sponsor, Strength training, training, vancouver, weight loss, weight training, working out, workout. Bookmark the permalink.